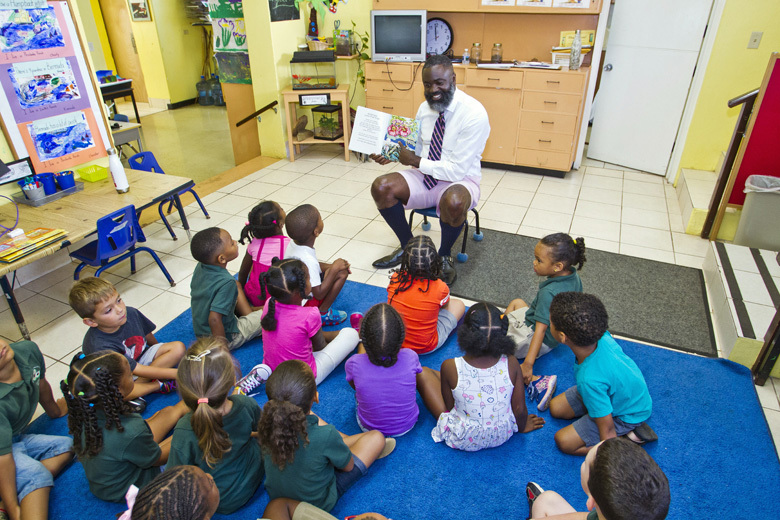 Earlier today [June 20], the Minister of National Security Wayne Caines spent some time reading to the Bluebird class of Devonshire Preschool. The youngsters, who have been learning about Bermuda of late, were treated to the story, “Goodnight Bermuda”, by J.K Aspinall. 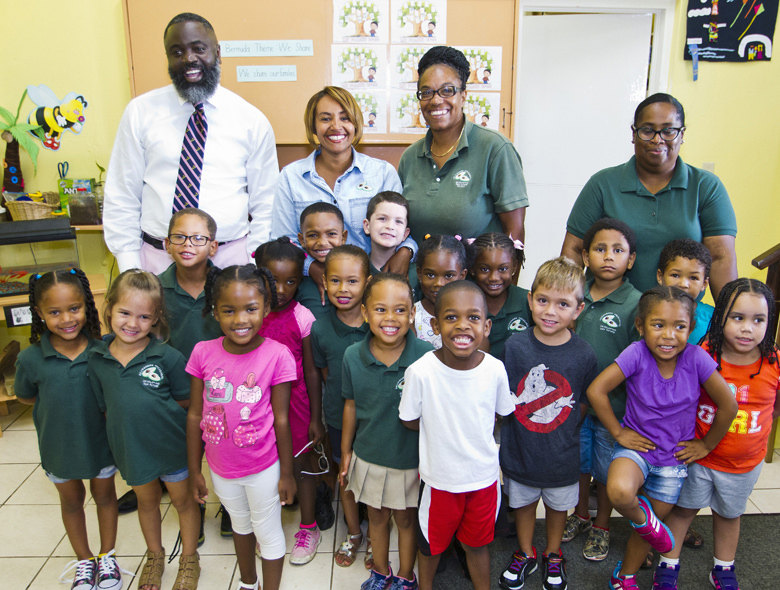 Minister Caines was invited to the school by Devonshire Pre-School teacher Katiuska Guerrero-Durrant and her colleagues, teachers, Tyra Simmons and Johnelle Booth. 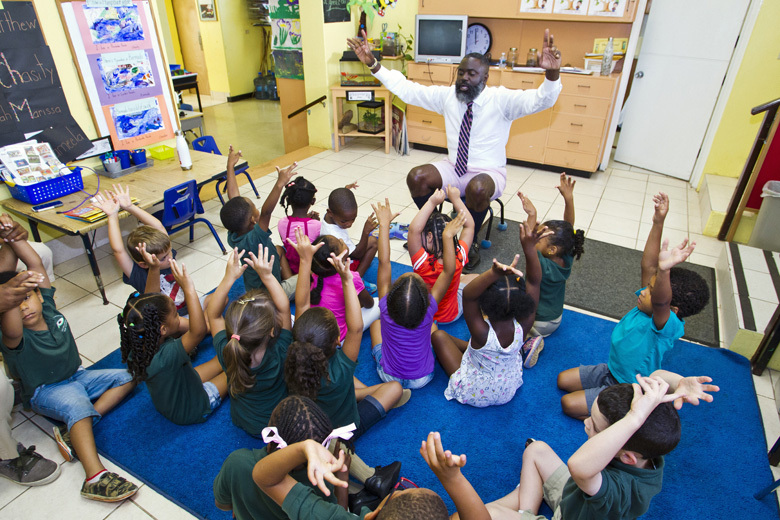 Minister Caines also took time to speak to the preschoolers a bit more about Bermuda’s history and also shared with them some information about his role as a Minister. For his efforts, Minister Caines received a signed card from the class, that thanked him for his visit. Minister Caines…so personable, so REAL, so natural!! Sooo happy that YOU are in power. Oba was on a destructive path for us BORN BERMUDIANS. What planet are you living on? PLP destroyed Bermuda in first term in office. Doing it again. It’s nice to see politicians invested in the community. But this is like sweetening the cake for us. Like go actually do something proactive and materialistic that will actually benefit the country as a whole. Blockchain Caines is making moves to be the next Premier! I think the gentleman may have met his calling! Forget that krypto stuff, these kids are much more important. It’s small stuff like this that makes a difference to people’s lives as they grow and mature. Well Done Minister, you look right at ease there. Thank you, Minister Caines, for selecting my book Good Night Bermuda. It would be wonderful if schools and government could support local independent authors, allowing them the finances to produce work for Bermuda’s school system. I personally donated hundreds of books to schools but only provided purchased books to a dedicated few. The Preschools were a joy to entertain. Glad you had that great experience.